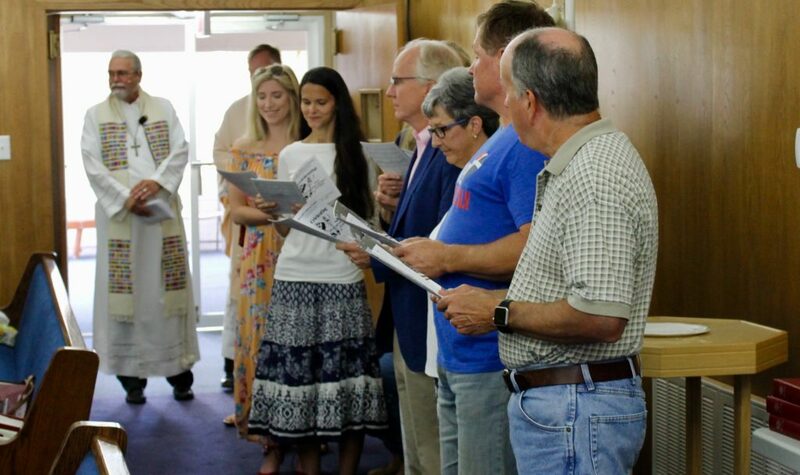 We have entered the most sacred week of the year in the Christian life. While we go forward with hearts full of confidence in God’s promises, on Thursday and Friday we worship with solemn attention to Jesus’ Passion, his suffering and death. Maundy Thursday, April 18, 7:00 p.m. It could be called “commandment” Thursday; on Maundy Thursday we will focus on the last supper Jesus shared with his disciples and his command to them that they love one another as he has loved them. 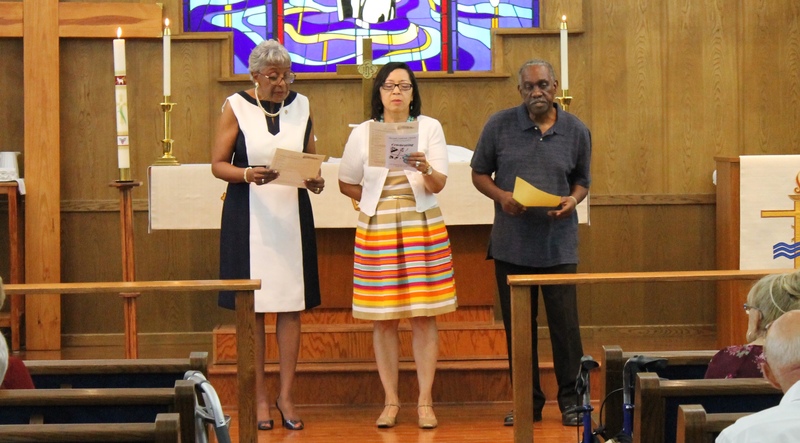 At this solemn service we remember our savior Jesus’ crucifixion and death and his final words from the cross. We will worship with reverence and conclude listening to “Were You There” sung in darkness. Christ is risen! We announce it to one another and to the world on Sunday morning. God’s love for us is boundless. 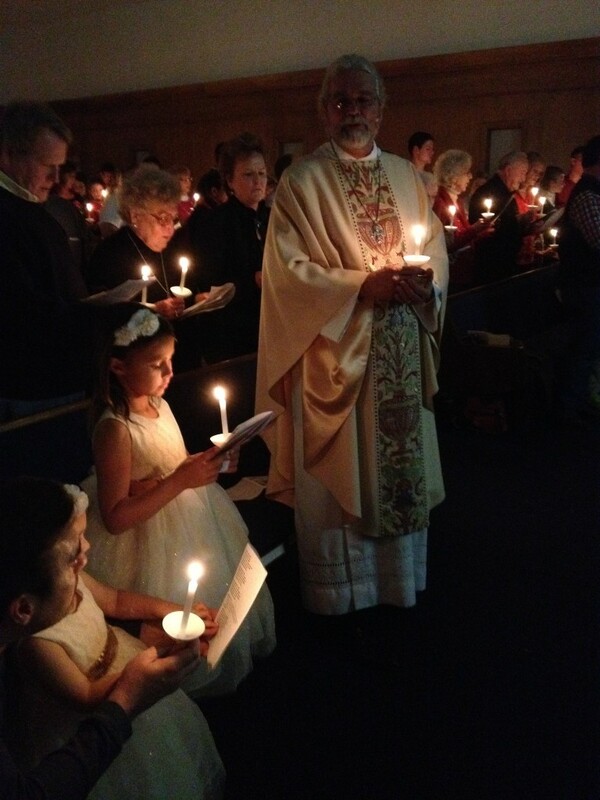 Sunrise Service with candles and Holy Communion, 7:00 a.m.
Potluck Easter breakfast, 8:30 a.m. Egg hunt for the kids, 9:30 a.m.
Easter Festival Worship, with Holy Communion, 10:30 a.m.
and a look at Jesus in the movies. 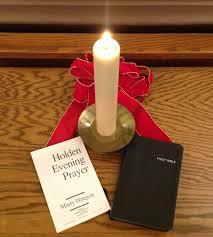 Messiah will present two wonderful Christmas Eve services, each with candlelight, the Christmas story, and Holy Communion, on Monday, Dec. 24, at 7:00 P.M. and 11:00 P.M.
We will sing together the Holden Evening Prayer service during Wednesdays in Advent. Join us for music and a brief Holy Communion service on Nov. 28, Dec. 5, 12, and 19, beginning at 6:45 p.m.
Almighty and ever-living God, you anointed your beloved Son to be priest and sovereign forever. Grant that all the people of the earth, now divided by the power of sin, may be united by the glorious and gentle rule of Jesus Christ, our Savior and Lord, who lives and reigns with you and the Holy Spirit, one God, now and forever. This is Christ’s church. There is a place for you here. We are a church that shares a living, daring confidence in God’s grace. Liberated by our faith, we embrace you as a whole person –questions, complexities and all. Join us as we do God’s work in Christ’s name for the life of the world. 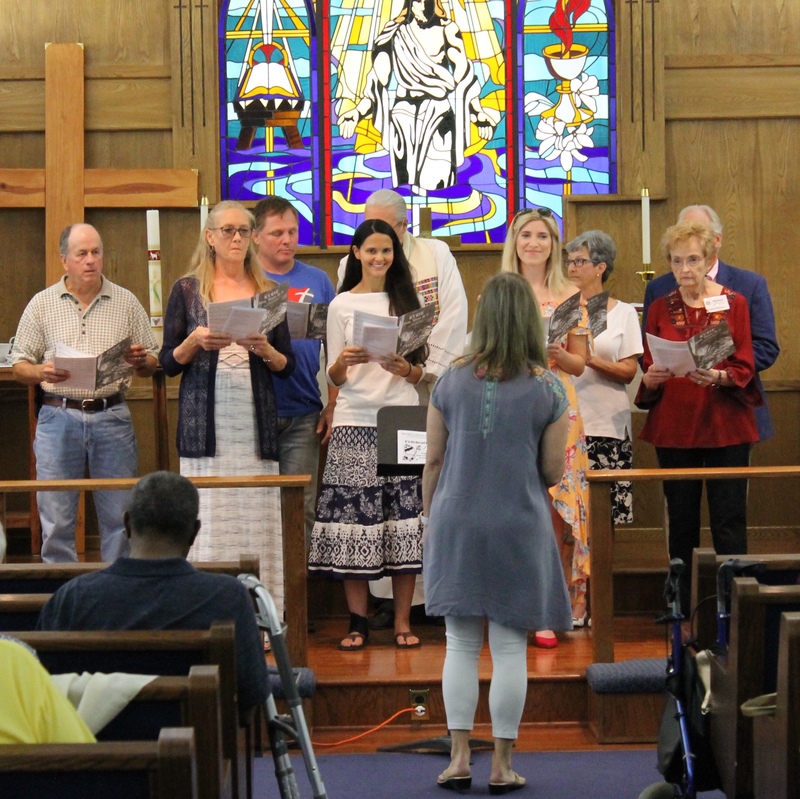 We worship together on Sundays at 8:00 A.M. and 10:30 A.M.
Our festive celebration of the 15th anniversary of Messiah Lutheran Church will be Sunday, June 24. 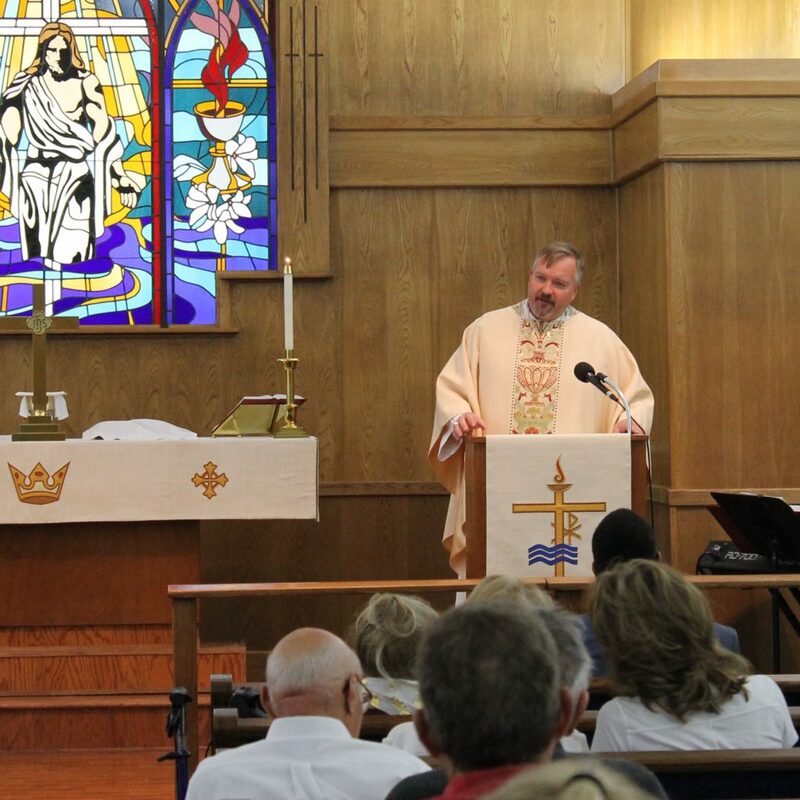 The Rev.Erik Gronberg, bishop of the NT-NL Synod, will join us for the day. We’ll worship together at 10:30. Later we’ll feast on BBQ and enjoy fellowship activities. 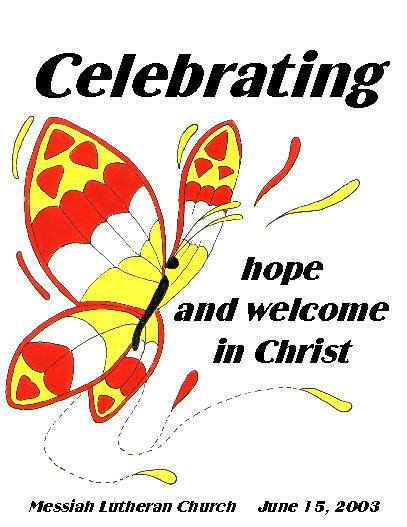 On Pentecost we celebrate the coming of the Holy Spirit and all the promises of God that sustain and nurture us. In the Holy Spirit’s power and promise we are always made new and eternally joined to God and all the people we’ve known and loved. 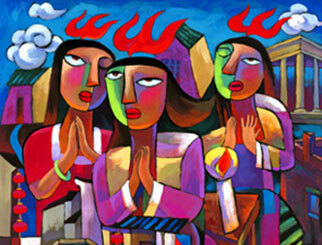 This painting by He Xi depicts Jesus’ disciples with flames of Holy Spirit power on their heads on that first Pentecost.